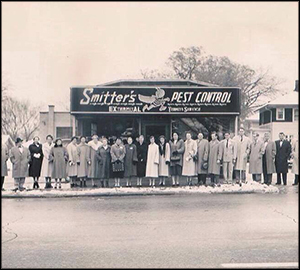 Proudly founded in Grand Rapids in 1939, Smitter Pest Control remains the leader in professional pest control services throughout West Michigan. Despite over 75 years of effective extermination of bugs, insects, rodents and other small game, our commitment to offering homeowners and business owners quality, reliable and affordable pest control services to the homes and businesses throughout the Greater Grand Rapids area. Smitter Pest Control continues operating under the ownership and guidance of the Smitter family. Founder Val Smitter studied entomology at Purdue University and became an expert in the field over his long career. Devoting his life to the industry, he served on numerous committees and organizations dedicated to pest control, including the Michigan Pest Control Association and the National Pest Management Association. He passed his knowledge onto his son John, the third generation in the Smitter family business and who currently runs the day-to-day operations with the guidance of his father. During our long history, we’ve received a lot of requests ranging from the ordinary to the strange. 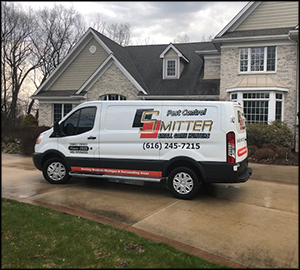 With years of diverse experience in the pest control industry, Smitter Pest Control remains the ultimate choice when searching for a Grand Rapids exterminator. 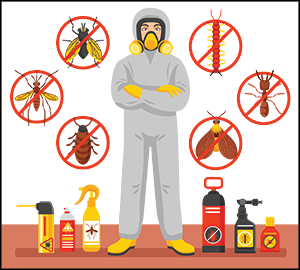 Limited not just to carpenter ants and bed bugs, we take care of a large variety of pests. Such pests include earwigs, wasps, hornets, spiders, moles, mice, rats and termites. We also take care of other custom jobs, depending on the type of pest that’s infiltrated your home or office. For more information on Grand Rapids pest control from the experts at Smitter Pest Control, please contact us here or call us directly at 616.245.7215.